Have you ever got the impression that Pinterest just doesn’t like you? You have heard how other bloggers are getting mad traffic to their blog just by pinning on Pinterest. But you just are not seeing the same results. Why doesn’t Pinterest like you? In this blog post, I’m going to teach you a few Pinterest Tips that will be sure to make Pinterest fall in love with you and your content. Before I share my tips, I’d like to introduce you to a fabulous ebook. 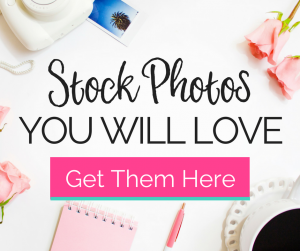 This fantastic ebook was created by Carley the Mommy of the Mommy on Purpose blog. 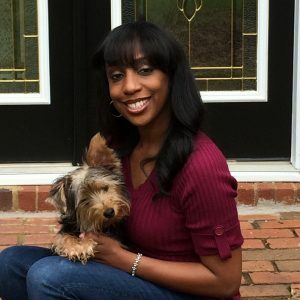 In her ebook, Carley teaches how she used Pinterest to get 200K page views per month to her blog. All without using paid schedulers like Tailwind. If you want to know more about manual pinning and increasing your blog traffic, I highly recommend the ebook Pinterest Strategies. 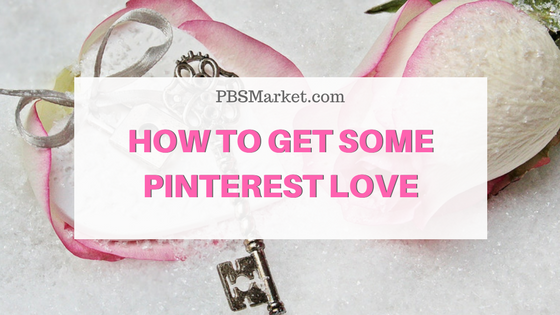 A sure-fire way to get some love from Pinterest is to pin often. Pinterest likes it when you spend lots of time actively using the site. When I first started my pinning strategy, I was worried about pinning too much. I quickly learned that there is no such thing. 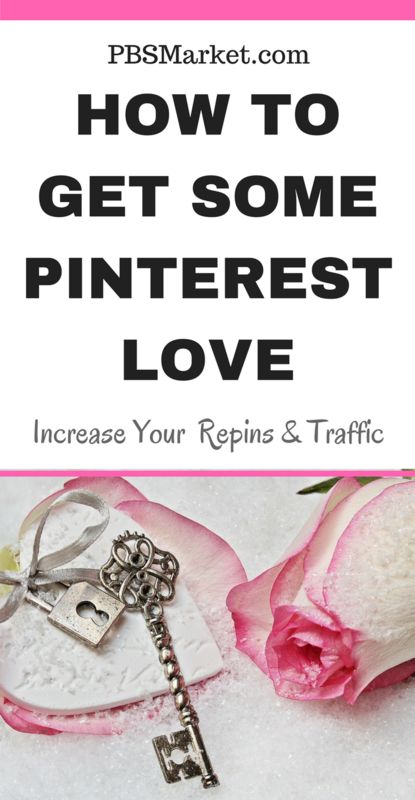 In my current Pinterest strategy, I am easily pinning about 150 – 200 pins per day. I pin new pins related to my own content to my “Best of PBS Market” board. I also pin content from pinners on my group boards to my general boards. The smart feed also sends suggestions of pins that Pinterest believes I will like. I take the time to scan the smart feed to find any pins that I feel meet the content of my general boards. Pinterest also has an Explore section. I take a little time each day to pin from this area as well. You do have to put thought into what you are pinning, but pinning too much should not be a concern. This leads to my Pinterest next tip… keep reading! Next on my list of Pinterest tips is to share other people’s content. If you are new to Pinterest and your goal is to bring traffic to your site, this tip might seem to be counterproductive. Pinterest is designed for content to be “shared”. 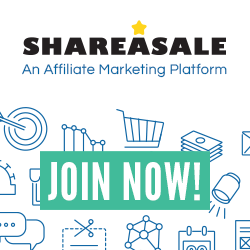 This means that it places a high value on its users actually sharing each other’s content. If you have done any type of research on Pinterest strategies you have heard of the 80/20 rule for pinning. This rule states that you should pin 20% of your own content and 80% of other’s content. I’ve read studies from people who both agree and disagree with this rule. If you are new to Pinterest and you do not have a lot of your own pins and content to support your own pins, it is beneficial for you to pin 80% to 90% of other people’s content. This allows you to set up boards and add valuable pins to those boards. Now let’s say you are an experienced pinner and you have tons of your own pins and content to share. In this case, you can get away with pinning more than 20% of your own content. A good rule of thumb is to just make sure you are mainly filling your niche specific personal boards with content from other pinners and your own pins. You should also be pinning your content to your group boards for greater exposure. Up next on my list of Pinterest tips is to use vertical pins. 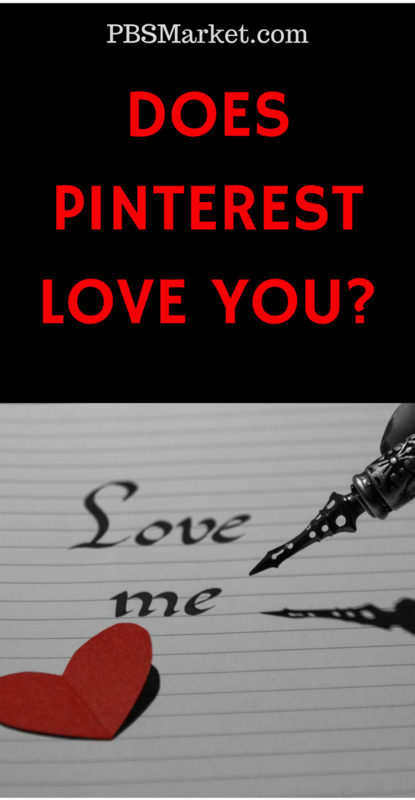 This tip not only makes Pinterest love you, it makes other pinners love you as well. Vertical pins will make your pins more visually attractive and stand out in the sea of Pinterest pins. I should also note that there are some boards on Pinterest that only allow vertical pins. These board creators want to ensure that their boards are consistent and visually appealing. Therefore they do not allow horizontal pins. I have to admit that I have chosen not to pin another user’s pin to my boards because they were not high-quality vertical images. Be sure to keep this tip in mind when creating your next set of Pinterest pins. A Rich pin just sounds like something that would differentiate true pinners from hobby pinners. Well, it does! Pinterest has made enabling Rich pins simple and painless. Just upgrade your Personal Pinterest account to a Business Account and follow the instructions provided. Did you know that Pinterest was a search engine? Most people view Pinterest as a social media platform. That is not the case. Pinterest is a search engine. There are 2 billion searches a month done on Pinterest. Pinterest was designed for users to visually “search” for items and information that they need. Think about it… when you are looking for something new to cook for dinner, where do you search? Just like any other search engine, keywords are super important on Pinterest. Keywords should be used in your profile, in your board descriptions, and in the descriptions of your pins. Utilizing keywords will allow your profile, boards, and pins to show up in the search results when Pinterest users use the Search feature. They also play a part in your content showing up in the Pinterest smart feed. When deciding on keywords to use on Pinterest, think of phrases that you would use to search for an item. Pinterest also provides great keywords when it gives suggestions in the Search bar. 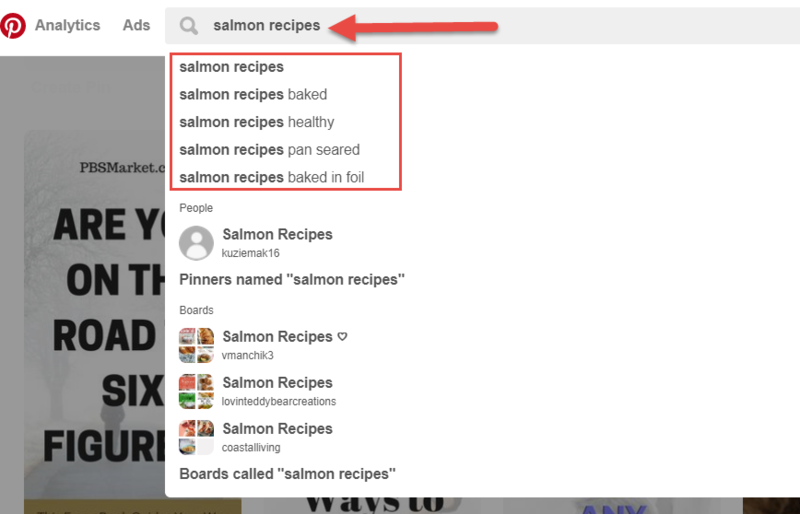 Pinterest automatically gives me the best keywords related to salmon recipes. This is an excellent way to choose the keywords for your boards and pins. The last item on my list of Pinterest tips might be controversial. As I stated in my first tip, pinning often is loved by Pinterest. If you are pinning often this means you are actively using the site on your home computer, your laptop, and your smartphone. 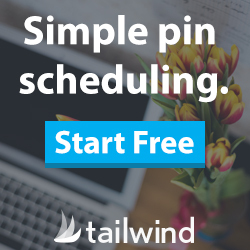 Well, not really… Tailwind is a popular application that allows you to schedule your pinning activity on Pinterest. By utilizing this application you can simulate pinning 24 hours a day by spending a short amount of time scheduling your pins. This is a Pinterest approved application, therefore Pinterest does not frown upon its use. The key takeaway here is that although it is approved, Pinterest does know that you are using it. If you are scheduling your pins, Pinterest is aware that you aren’t actively using the site. Meaning you aren’t doing searches and purchasing products. By incorporating manual pinning into your strategy, you are letting Pinterest know that you are a real person that actively utilizes the site for more than marketing purposes. In my opinion, this behavior is rewarded with Pinterest love. I personally love automation and the ability to schedule my pinning activity is a lifesaver. However, I have now incorporated manually pinning my personal blog pins to my favorite group boards and I have seen a large increase in my traffic. I’m still in the middle of my case study but once it’s done I plan on dedicating an entire blog post on how manually pinning on Pinterest has increased traffic to my blog. I hope you have found these Pinterest tips useful. If you don’t already have a blog, what are you waiting for? Check out the following related post and get your blog started today. 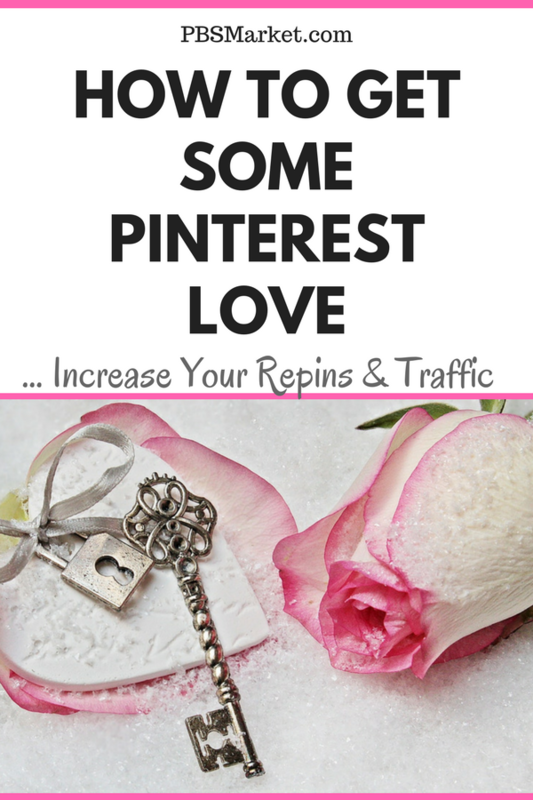 Leave a comment and let me know if you have any Pinterest tips that have made Pinterest show you more love by increasing traffic to your blog or website. Thanks for sharing these great tips!! I use boardbooster and tailwaind, but I’m going to try to start manually pinning as well to see if this makes a difference. 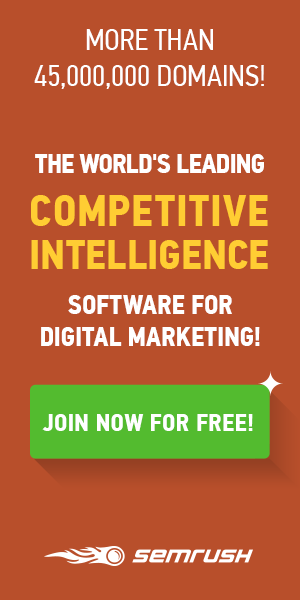 Try manually pinning pins that are already bringing you traffic. You’ll see some good results. I never quite got the hang of Pinterest until I noticed that every one who blogs uses it. I stared pinning blogs and creating boards . I could still tighten up a few areas like vertical pins and using keywords . These are great tips! Thanks Anissa! I’m glad you found helpful. I am so clueless when it comes to pinterest. I’ve never used it before starting my blog so this was good information to read especially since I need to get my content out for people to read. thank you! You’re welcome Chantel! 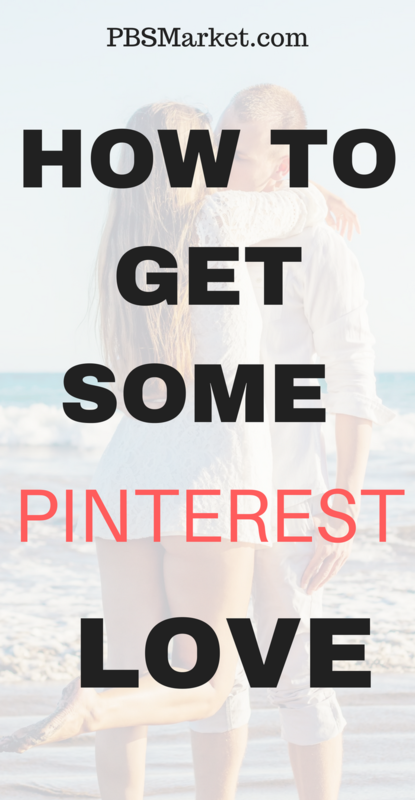 Pinterest can bring some great traffic to your blog once you get the hang of it. You’re welcome Jenna! I’m sure you’ll see some great results. I’m just starting out on Pinterest but I’m finding it hard to pin so much, frequently, even with Tailwind. Hard work! You are so right! At the beginning it is very hard work. Hang in there… it gets easier. When it comes to marketing I believe some networks have edge over others and Pinterest is one of them as it allows linking in Pins too while other networks such as Instagram does not allow it so. If Pinterest gets a bit of the revamp then I believe it can really can a lot of users over time. Facebook and Instagram have great user bases because they not just provide with the networking but it is also fun using these networks.